Takeaway: The details of the deal are still being worked out, but Erik Eckel looks forward to Microsoft Office coming to Apple iOS devices soon. Microsoft Office is the de facto standard productivity suite. Most every enterprise organization, medium-sized firm, small business, nonprofit, educational institution, government agency and residential user have essentially standardized on the platform or at least officially adopted Microsoft’s default file formats within their offices.Despite often being the target of denigration-Word is too bloated, Excel takes too long to load, PowerPoint makes developing simple presentations difficult, etc.-the productivity suite is best-served to power Apple users on the go. I’ve already made the casethat Office is the best platform for Mac users. But it’s also the best option for mobile iOS users, too. 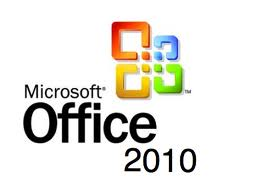 If the impending release of Microsoft Office for iOS was to be a surprise, the secret was poorly kept. Numerous websites and various bloggers are regularly reporting leaks, specifications, and even details plaguing potential payment rates being negotiated between Apple and Microsoft. Make no mistake. The stakes are very high. Microsoft Office for iOS is likely to become the platform’s leading paid app soon after release. For this reason, both Apple and Microsoft must prove comfortable with the compensation rates both receive; sales will prove impressive. In mid December, however, negotiations were reportedly reaching a peak as the two parties approached an impasse regarding the manner in which Microsoft would receive payment for SkyDrive or Office 365 subscription services. Apple was purportedly pursuing 30% of revenue from Microsoft’s cloud-based service sales originated on the iOS platform, even if the originating users should later leave iOS for, say, the Droid platform. Users, and not just mobile users, lead incredibly frenetic lives, now. Contemporary professions and lifestyles demand users remain connected to the office and others while managing an array of other tasks and obligations. Practically everyone, as a result, runs around picking up children, commuting, traveling, running errands, attending events and more while returning email, following up on calls, texting and even monitoring processes, systems and people. There’s little spare time to convert a portable document, work around mobile application errors in a spreadsheet, or recompile slides when on the go. Users require their adopted mobile platforms prove seamless. Without Office for iOS, however, that’s sometimes a stretch. Sometimes a user (employing a desktop computer or laptop) drafts a document or spreadsheet, sends it to another individual or group of people, then receives edits back that prove inaccessible only because the originating user is now trying to view the updates or changes from an iOS device. Or maybe a mobile user received an attachment that, without Office-compatible software loaded, proves inaccessible on iOS devices. Consistent compatibility is the key to simplifying mobile iOS users’ daily operations. Apple’s done well building its own mobile document (Pages), spreadsheet (Numbers) and presentation (Keynote) applications, but others often don’t possess compatible software or create files using those programs. Further, Apple’s lost the productivity suite fight to Microsoft, which owns the space. iOS users-too busy to reformat files, troubleshoot application crashes, return to the office to review updates, request someone resend a file or implement some other workaround-simply need their productivity apps to work well with other users. With Microsoft bringing proven Word, Excel and likely PowerPoint applications to iOS devices, now even iOS users will be able to enjoy the standardization and consistency that have long been hallmarks for Windows’ users.